Two new liveries for the 4/4ii RhB 125 and Edelweiss as limited editions. The interesting bit is the photo montage of future projects including Ge6/6ii, baggage van, four wheel and bogie container wagons, flat wagons and cement trucks. Not much hope for the new stuff then. Have you tried Traintrax? Keith gets most of them shortly after the Japanese release. What's also interesting is the mention of Bemo - I wonder how much collaboration takes place between the two companies? This could start to get expensive. Do you want me to bring along a few to look at to tempt you next time we meet up? Still stuff all locally, used to be we got everything quite quickly, not so any more. I did get my Chooch walling reasonably fast. Most items are delays by the manufacturers, Preiser promised some arched walling 2 years ago, still waiting. I just bought the Edelweiss loco from DMToys in Germany. I believe they are part of Modellbahn Union out of Dortmund. 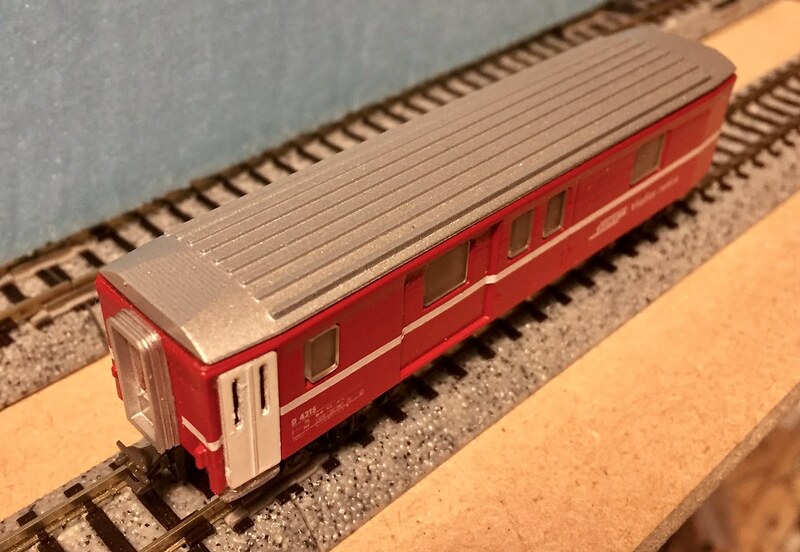 I have bought many times from Modellbahn Union and they offer really good service. Not much more than a week or so to Florida via DHL. The other GE 4/4 II is available as well. 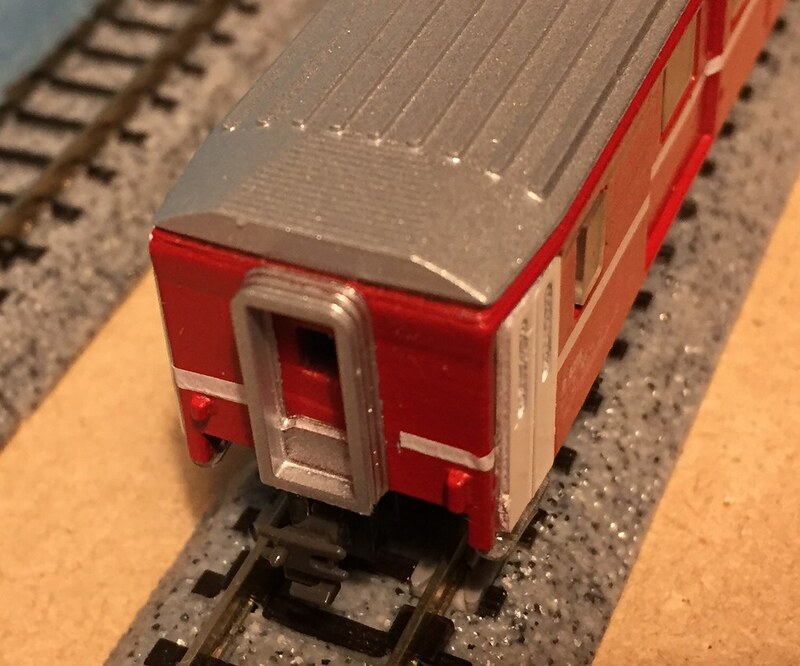 On﻿ the new Kato RhB 125 loco box it mentions a set - 7074049 (10-1514N) 632 Zizers + Ew 1 3-teilges set - that wasn’t in the 2019 release list. So are these standard KATO releases for the year, or are they Noch's? All of my KATO items come off evilbay from "Plaza Japan" and even with shipping time from Japan, they arrive are super fast, and are always cheaper than anything from Europe... but I've been waiting some time now and have seen zero stock from them for these two loks. No these are Noch specials, some did filter out from the last lot after about six months but I didn’t see any come from Japan. A few got to other European sellers and were a bit cheaper but there’s no guarantees it’ll happen again. There are people in Australia and New Zealand spitting feathers over it due to the import costs from Europe. They all have Kato branding but I’d guess Noch have asked for a minimum exclusive period, usually three years with bachmann commissions. I also tried this from a Swiss guy but the definition is a bit poor and he’s now raised the prices. Hi Paul did this Baggage van come as a kit with ready painted sides and what was the cost please.